Join us at BLDG 61 a special Boulder U-Fix-It Clinic! Bring any appliance, device, toy, clothing, or broken thing you want to learn how to fix with the help of U-Fix-It Clinic coaches. Together, we will get our inner MacGyver on and help divert objects from the landfill. 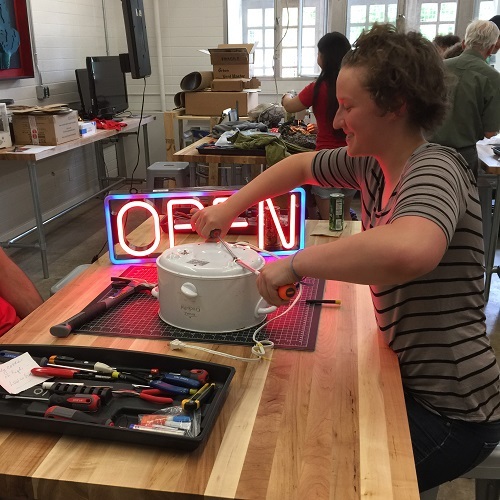 We'll have a toolbox and supplies for each workstation, but you are encouraged to bring any parts or tools that might be helpful for the repair. This event is made possible thanks to the Boulder U-Fix-It Clinic, Eco-Cycle, and the Boulder Library Foundation.